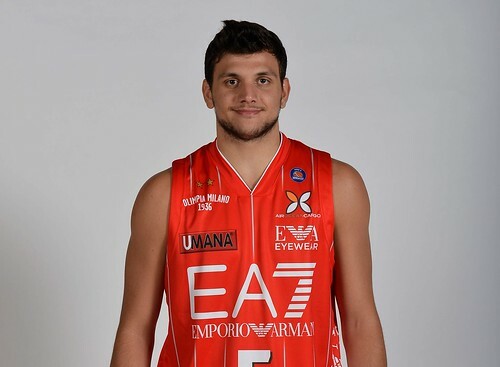 Alessandro Gentile in this picture is showing the jersey EA7 Emporio Armani will wear in Italian League competition. 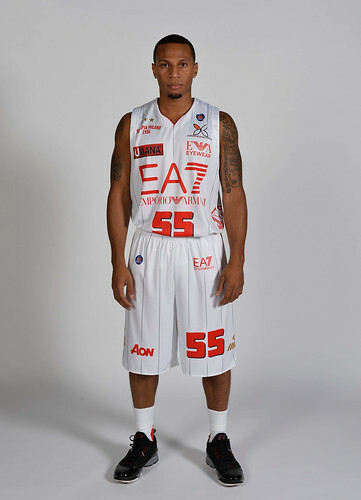 Traditional colors aside, the main characteristic is in the light grey stripes making the uniforms more elegant. During the Euroleague Media Day in Thursday the team will unveil the jerseys made for the international competition. 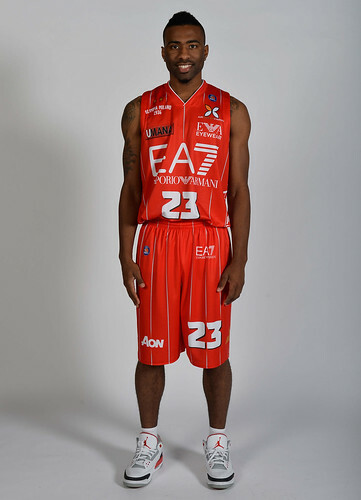 In this same page, Keith Langford (red) and Curtis Jerrells (white) show the same Italian League jerseys.